Nicolas Vouilloz, Nicolas Quéré and Kenny Muller celebrate at prize giving in Monaco. 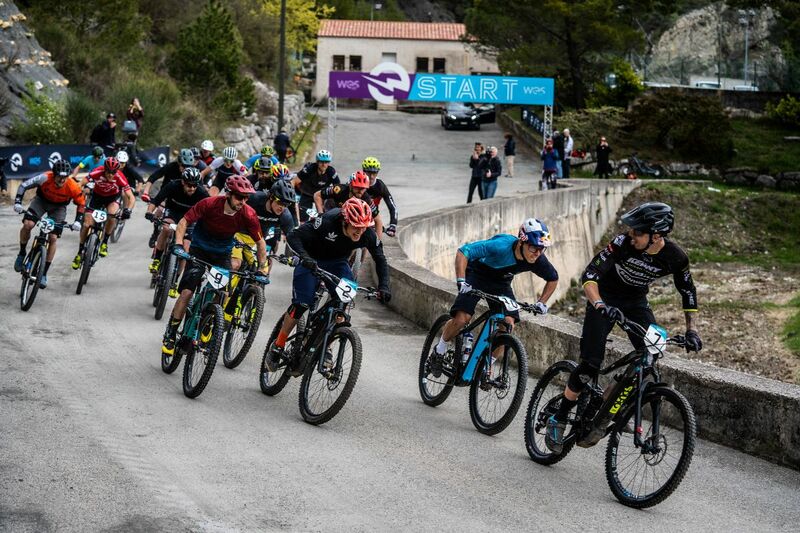 Monaco (P.ty) 15 April 2019 The inaugural round of the First International e-Bike Series saw its victors crowned during a weekend of fast-paced Enduro and Cross-Country (XC) racing on the hallowed trails of Peille, just outside Monaco. 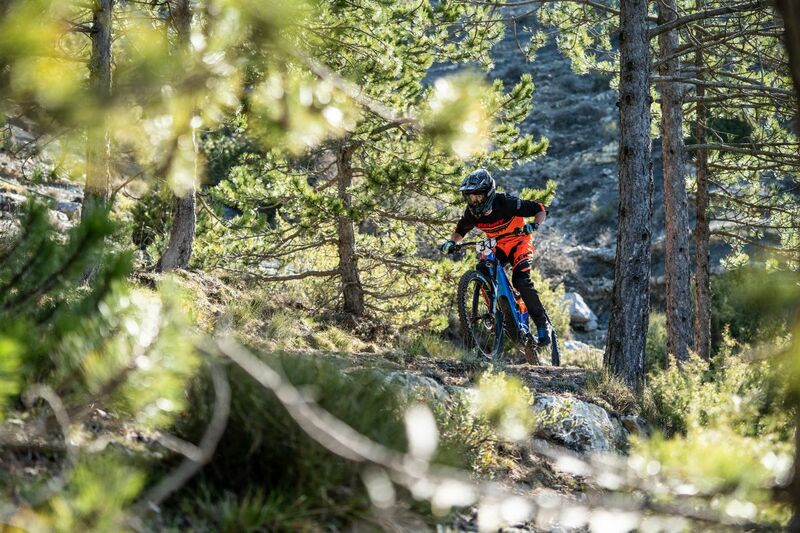 An e-Village in Monte Carlo showcased the latest technology and team bikes, while Sunday's Ride WES gave the public a chance to try e-biking and get to know the fantastic trails in the area. 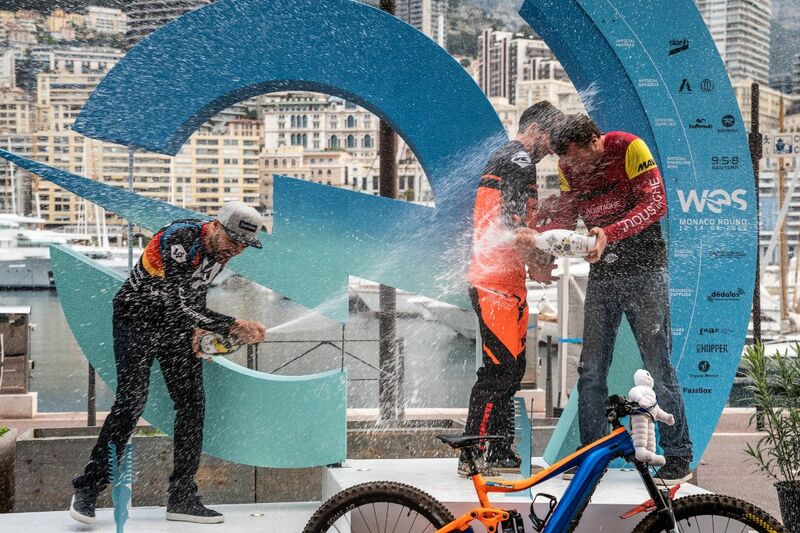 The weekend kicked off in style around the port of Monaco, with the WES Teams presentation making a perfect introduction to this exciting new venture for e-mountain biking. WES TV presenter Anthony McCrossan welcomed the 19 Teams to step up and say a few words about the sport and this first international event. The verdict? E-MTB is for everyone, but the technical, tactical and physical challenges of the WES races should not be underestimated. 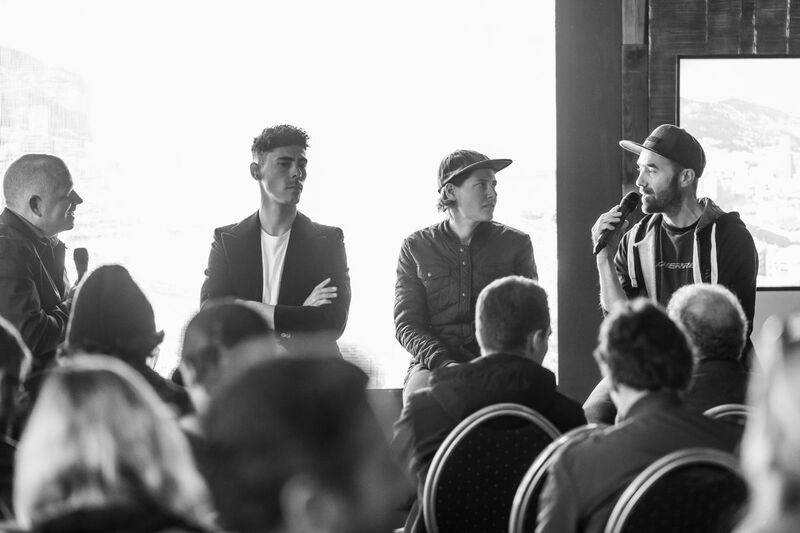 Inside the well-known Stars’N’Bars venue, McCrossan then invited three special guest racers to the stage to discuss this fledgling cycling category, with Nicolas Vouilloz (10-time Downhill World Champion), Marco Fontana (XC Olympic medallist) and Nathalie Schneitter (XC Olympian) agreeing that e-MTB is a fun and futuristic discipline that all cyclists should embrace. (L-R) Anthony McCrossan interviews Marco Fontana, Nathalie Schneitter and Nicolas Vouilloz. Saturday’s two races took place in more favourable conditions than those of the preceding days, with drying courses offering athletes some respite as they took on the famously testing tracks around Peille. To start the day, Enduro riders made their way out into the hills around the village, pedalling up on technical trails to access three timed Special Stages. Women's Enduro winner Chloé Gallean. Due to the poor weather in the lead-up, the planned Stage 3 was replaced with a repeat of Stage 1, giving racers a second run at this physical course. The favourite for the Men’s win was local hero Nicolas Vouilloz of Team Lapierre, who was back racing after nearly two years away. However, although the flying Frenchman hasn’t lost any of his finesse he faced challenges from an extremely strong field of competitors. Melvin Pons (Flyer) got off to a great start and won the first stage, but consistent results put Kenny Muller (E-Team Mavic-La Roue Libre-Moustache) onto the podium in third. Second place would go to the legend himself, Nicolas Vouilloz, who surrendered the win to a sensational Nicolas Quéré (Broap Racing by Giant). Men's Enduro winner Nicolas Quéré. 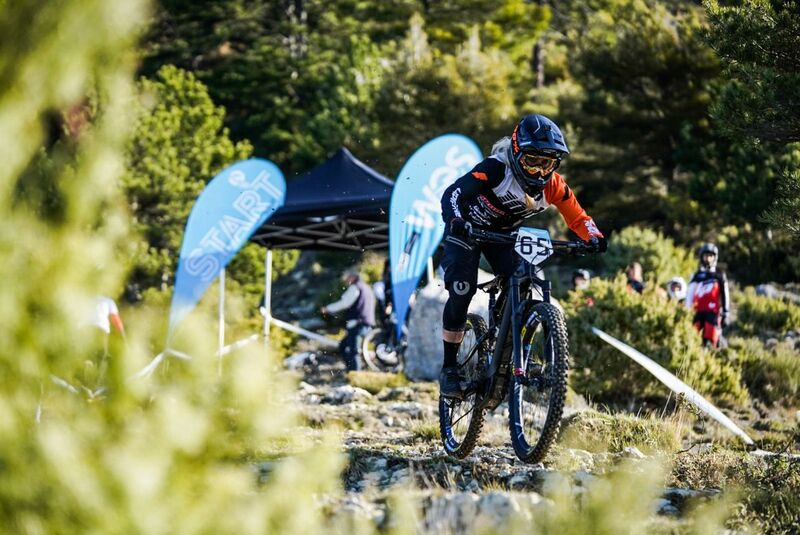 In the Enduro Women category, Chloé Gallean (Team Lapierre) faced off challenges from a group of talented riders. Gallean is another rapid local rider and familiar with the risks it takes to ride these courses at speed – she appreciated the drying conditions and brought home the win in this first-ever WES race. 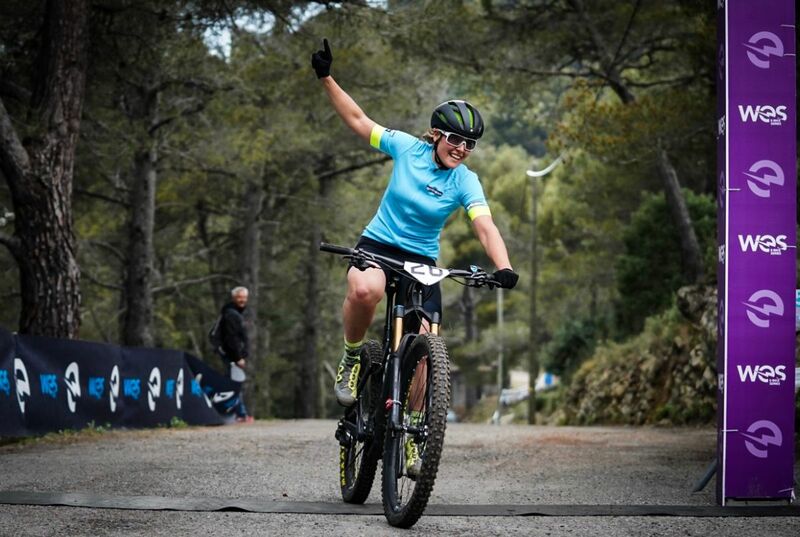 Following closely were Jessica Bormolini (Scott Mr Wolf EBike Store Racing Team) and Sofia Wiedenroth (Cube Action Team) in second and third respectively. In the second race of the day, XC athletes hit the technical circuit around Peille village for six laps of all-out action. A new concept saw Rémy Quillévéré (E-Team Haibike Schwalbe) awarded the Hole Shot for reaching the first corner of the race in the lead; this race-within-a-race will count towards a series prize at the end of the season. However, positions soon changed at the front of the pack. The XC start was a thrill as racers charged for the Hole Shot. Men's race winner Jérôme Gilloux #9. Star rider Marco Fontana (Focus Scuderia Fontana) was riding hard to catch leader Jérôme Gilloux (E-Team Mavic-La Roue Libre-Moustache) before disaster struck when Fontana suffered a puncture. Fontana was determined to finish the race and never gave up, but further problems and a big crash saw the Italian eventually cross the finish line bloodied and exhausted in fifth. This left Gilloux, a racer usually more focused on Enduro, to build an insurmountable lead. Gilloux looked at ease as he tackled the drops and swooping turns of the circuit with style and was unaware of the position changes happening behind him. Battling riders raced elbow-to-elbow but, being an e-MTB race, there was battery management to think about, which made for some interesting tactical riding. By the end of the race, Gustav Wildhaber (Cube Action Team) and Nicolas Casteels (Vojo Mag Specialized) had found their way to the front of the pack, finishing second and third respectively behind Gilloux. Nathalie Schneitter (eMTB-News.de) powered from the start to the very end of the race, fending off her rivals to claim the win in the WES XC Women's race. Sofia Wiedenroth went one better than her excellent Enduro result by taking second place, with Alba Wunderlin (Bergstrom Werksmannschaft) on the third step of the podium. Women's XC winner Nathalie Schneitter. 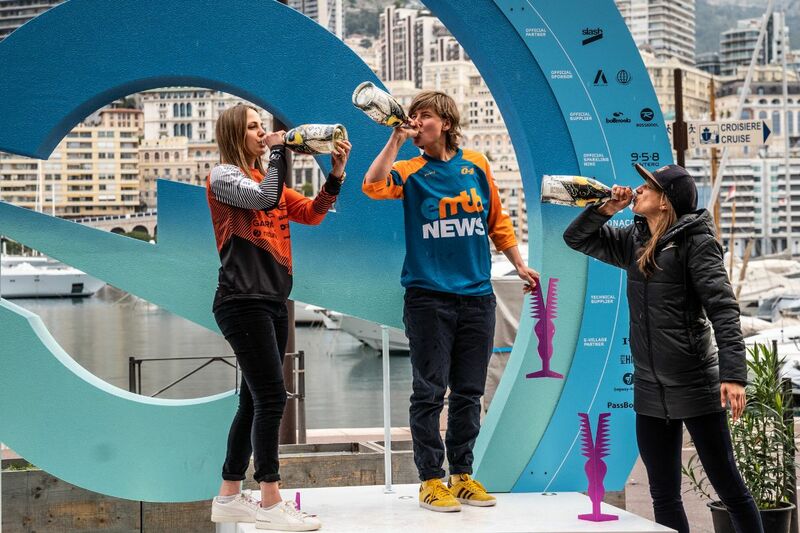 Women's XC winners celebrate in Monaco. L-R: Sofia Wiedenroth; Nathalie Schneitter; Alba Wunderlin. All WES Rounds feature racing on Saturday and a public Ride WES day on Sunday. Changeable weather and the after-effects of Saturday night’s Monaco party didn’t deter a big group of local riders, first time e-bikers and pro racers from showing up to ride the three ability-graded circuits set up for this relaxed Ride day, with professional guides leading the groups out to get a taste of e-MTB and a greater idea of the riding in this famous locale. Now the series looks ahead to Round 2 in Ascona-Locarno (Switzerland), 4-5 May, at which the best international e-bikers will race for top XC and Enduro honours on the steep slopes around Lake Maggiore. Once again, the e-Village will welcome the public to check out the latest e-bike technology and team bikes and Sunday’s Ride WES will offer an opportunity to discover e-MTB in another fantastic destination.